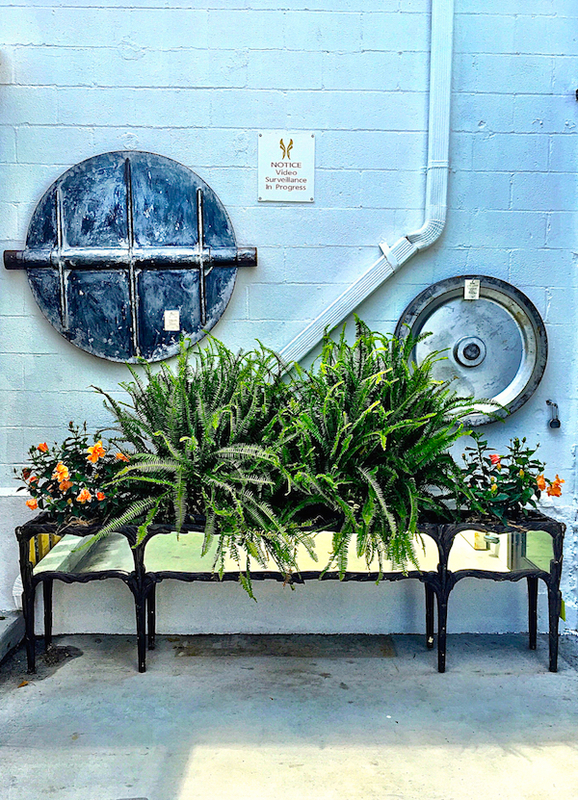 With beautiful spring weather this weekend, it was the perfect time for the Antique and Artisan Gallery to open its garden gates. 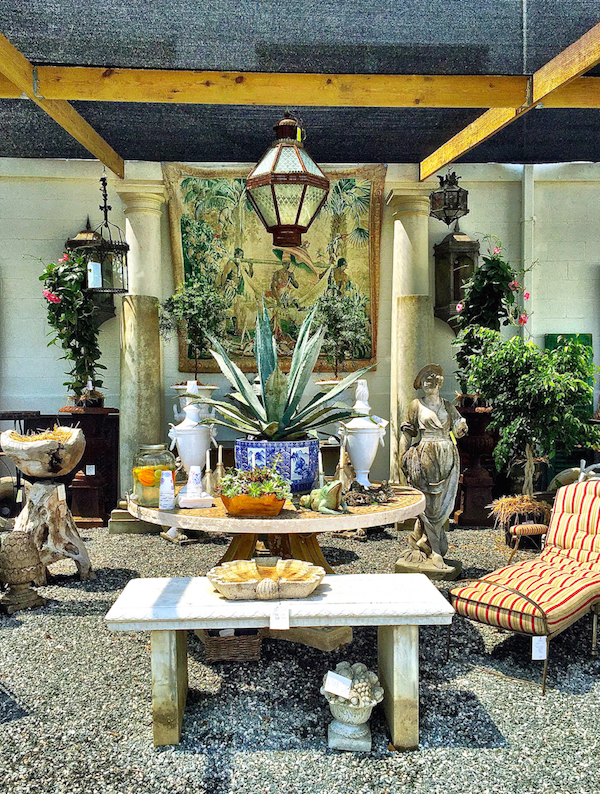 Through this Friday, their new outdoor garden area is filled with hard to find perennials, rare annuals, unique small trees and unusual exotics with of course a great selection of decorative furniture, garden antiques, architectural treasures and more. 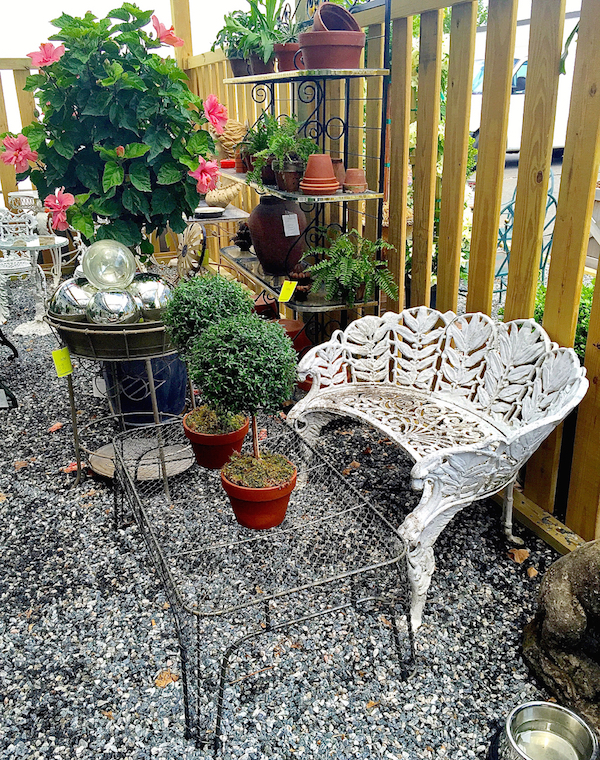 or a complete set, there is a wonderful range of vintage outdoor furniture. 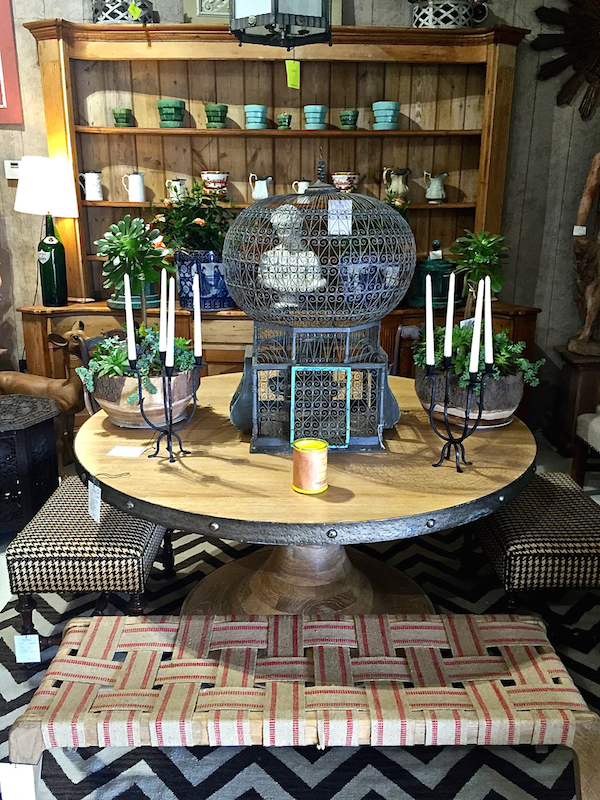 Chic vignettes are arranged throughout, with creative ideas for using both functional and decorative pieces. 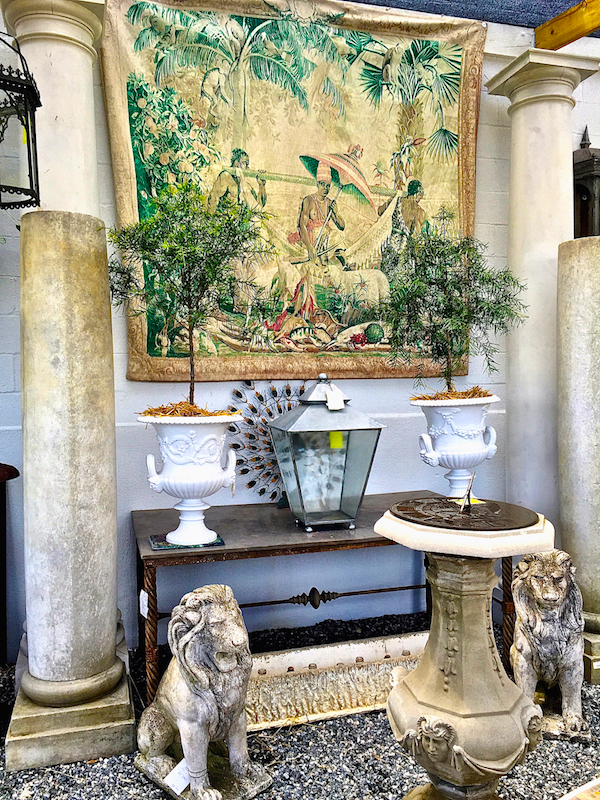 Urns, statuary and architectural elements are available in a wide variety of sizes, styles and eras. 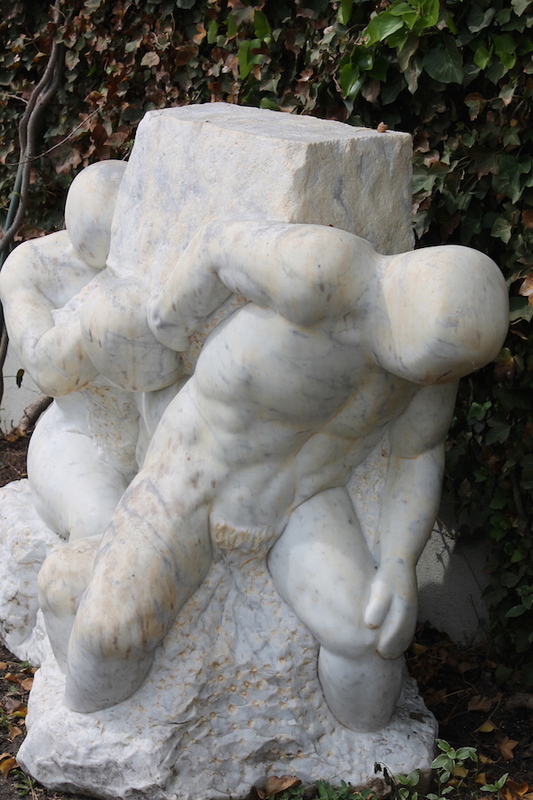 A local estate yielded a collection of marble statuary by a Connecticut sculptor with figurative and more abstract options. 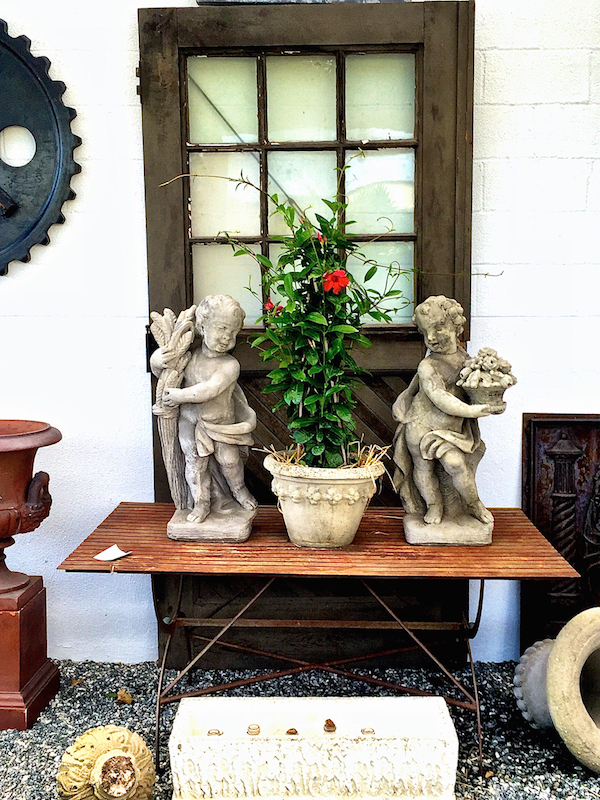 And there are those special quixotic pieces for adding personality to outdoor spaces. showing how seamless indoor and outdoor living can be. 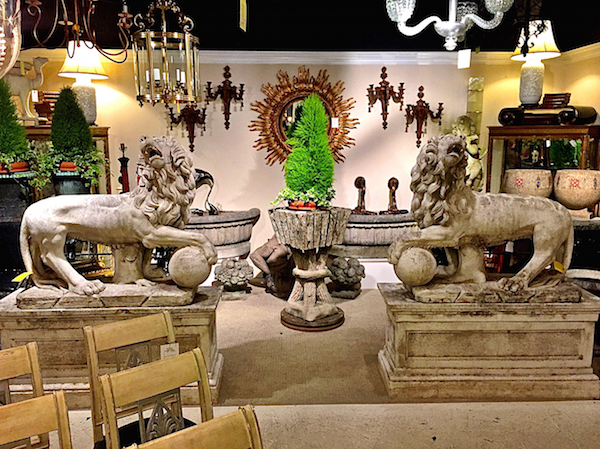 These stone lions would be fantastic flanking an outdoor entrance to house or garden. 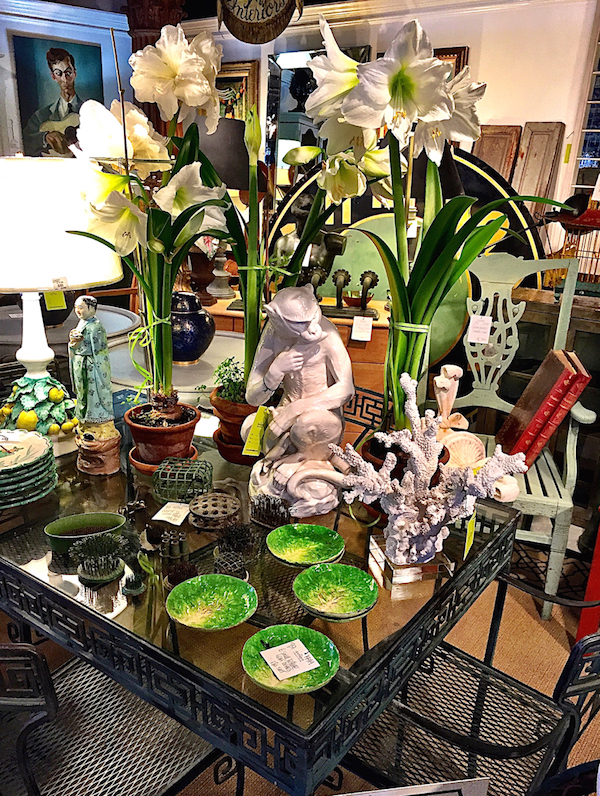 Beautiful blooming specimens are ready to adorn your home along with spring garden and entertaining accessories. 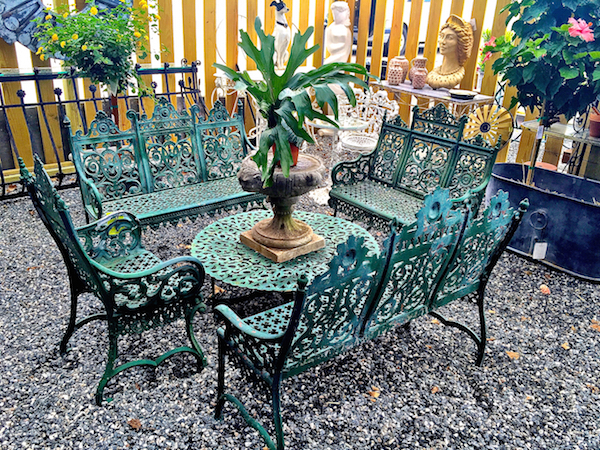 Those vintage metal frogs are not always easy to find and for those looking for a classic outdoor dining set, this greek key ensemble is a timeless find. 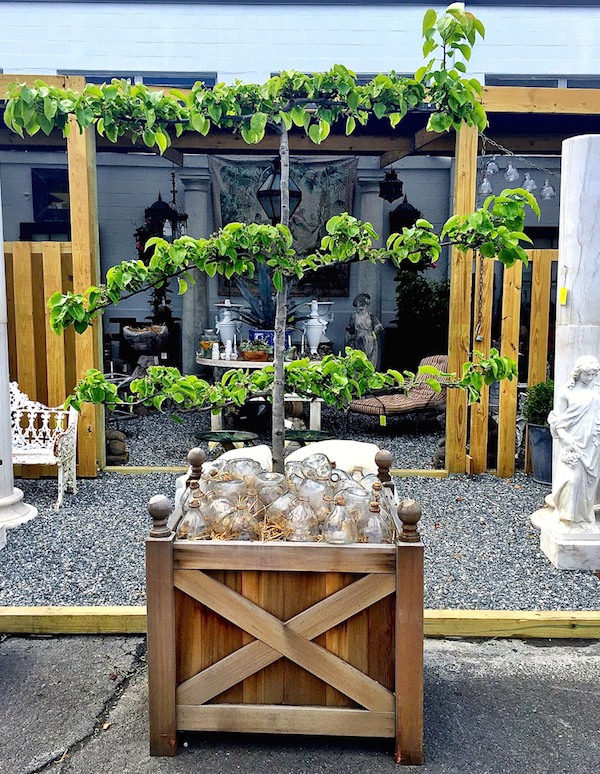 Whether you are looking for unusual plants, garden containers, furniture or accessories, be sure to find your way this week to the Antique and Artisan Gallery at 69 Jefferson Street in Stamford. 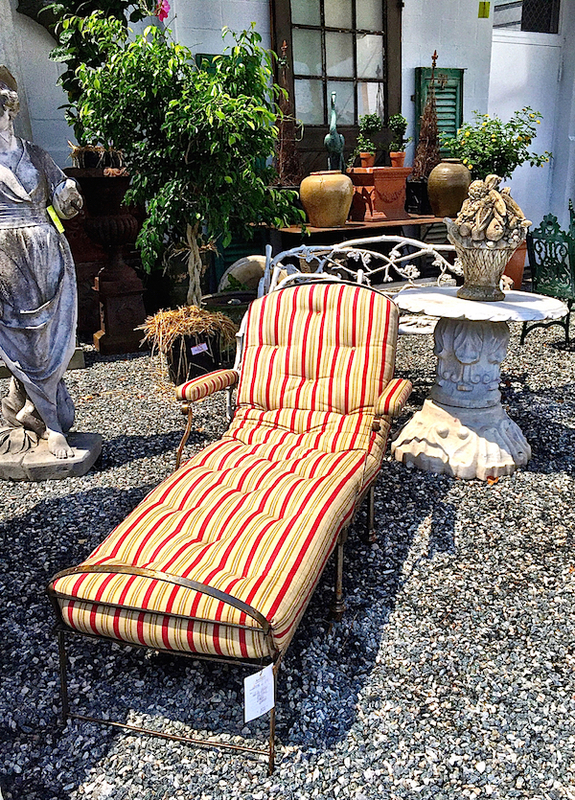 And if you are not local but see something that you can’t live without, you can make phone inquiries at 203-327-6022. 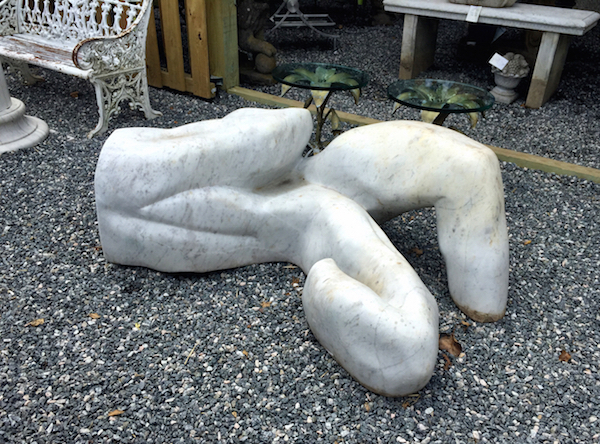 This entry posted in furniture, garden, interior design, sculpture. 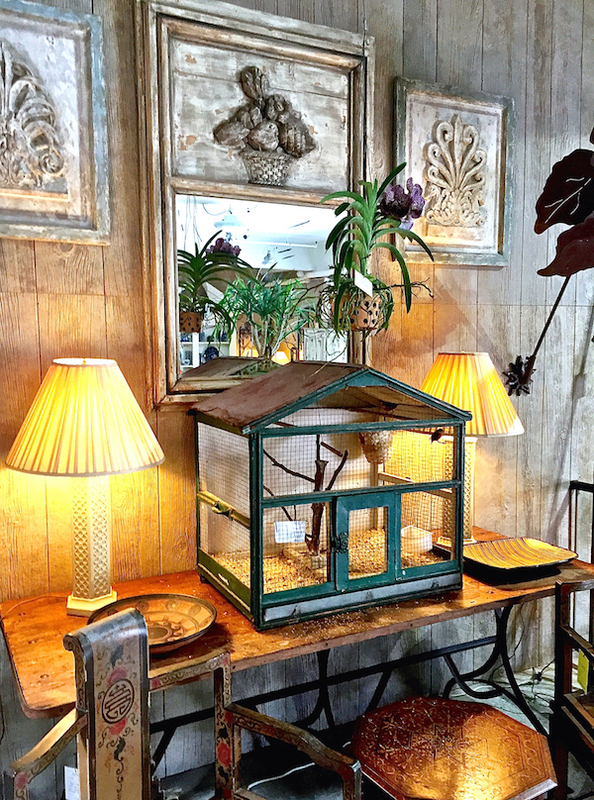 Entry Tags: Antique and Artisan gallery, architectural elements, garden, garden antiques, outdoor furniture, statuary Bookmark the permalink. 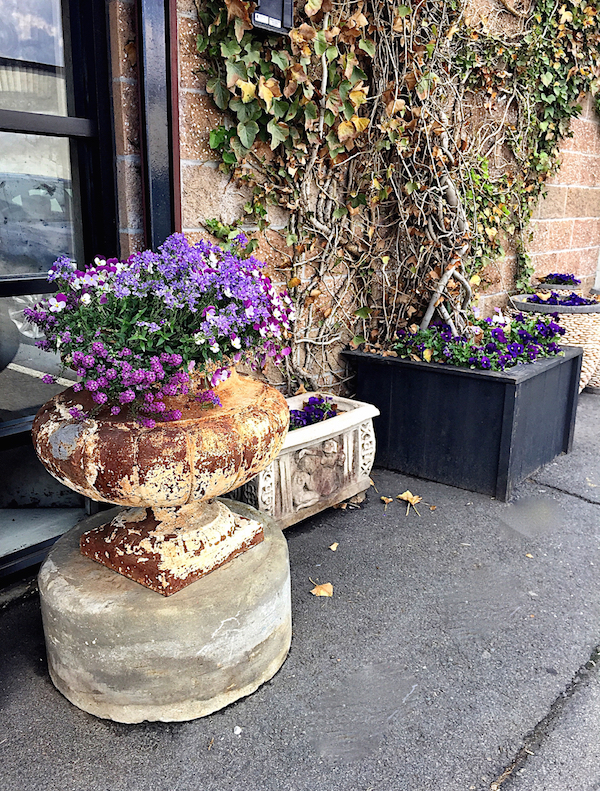 This is one of my favorite stops on trips south; I always find something. 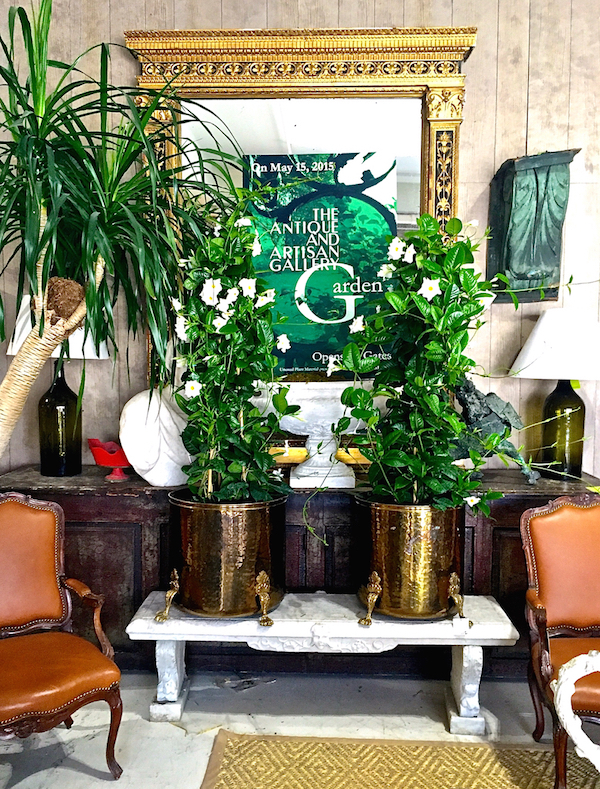 Last month I took home a beautiful mirror now hanging in the front hall at our place in RI. Looks like I need to make another trip! Love this! 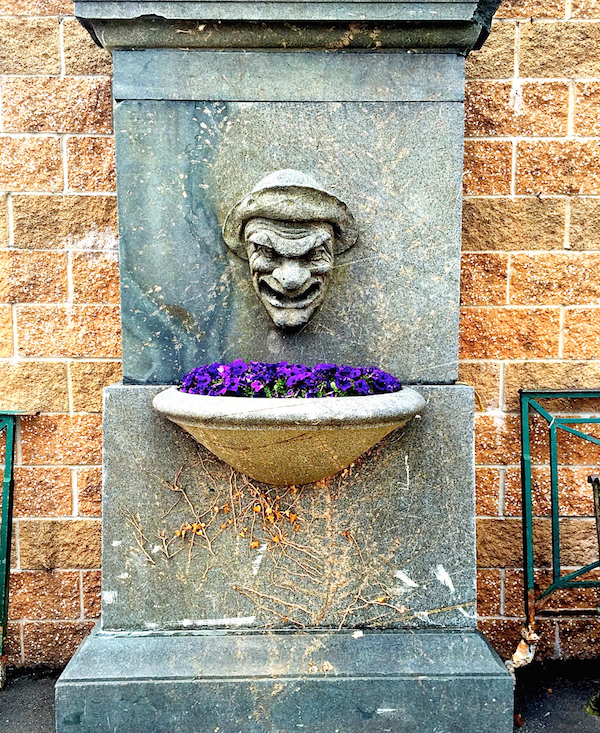 Must visit. Thank you for letting us know! Ah! I am so going there. Thank you for that share. 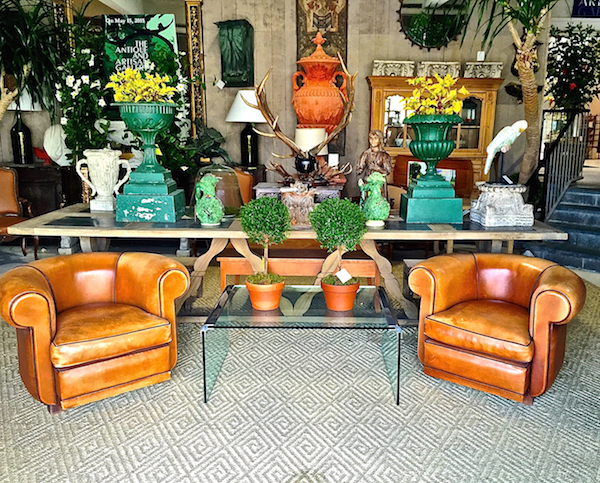 Full of gorgeous treasures – just love the planters and the leather chairs…stunning! 81 queries in 0.453 seconds.